My Russian cycling coach used to say: “When it hurts, it grows”. Then he would load more weights to the dumbbell and push me to jump up stairs with it… Survival training was it – painful and effective, but with a high risk of injury short-term and burn-out long-term. Yes, the truth is, we all have to go into the zone of discomfort during training. This discomfort – but not pain - leads to physiological adaptation to the training load. It really has to get worse before it gets better. First, we need to train and our form declines - we know it because we feel the fatigue. Then we rest and during this recovery phase our organism processes the stress. It repairs the micro damages in muscle tissues and replenishes the energy stores – and when doing so, it always “overshoots” to make sure it is prepared for the next load. This principle is called “overcompensation” and it is the very reason why consistent, intentional and progressive training leads to improvements in form and fitness level. Recovery is the most underestimated subject in sports science (and, unfortunately, practice), so let us focus on it. Let us call it “strategic recovery” in order to further highlight its critical importance not only to the form and fitness development of an athlete, but also to her health – physical, emotional and mental. Strategic recovery should be seen on three levels: long-, mid- and short-term. Long-term recovery is about the total training year and includes planning of key training phases and priority races. The “off-season” is critical to provide full recovery physically and mentally – it cannot be cut short or sabotaged by secret undercover training by too eager athletes. Everyone needs to take minimum 2 weeks of total rest with zero training and 2 to 4 weeks more of very unspecific, low volume, “go with the flow” exercising. You should always plan your season around your A race(s) and always include a week of rest and one or two weeks of active recovery after long endurance events, like Ironman or (fast) Marathon. Take enough time to recover, be strategic and sensible about the total number of races, their role and importance – this will ensure your longevity in the sport. Like Roger Federer or Sister Madonna Buder. Each training phase should consist of several 2:1 or 3:1 meso-cycles, with 2-3 weeks of progressive load, followed by a recovery week, when volume goes down by ca. 25% and intensity by up to 50%. This structure allows proper recovery even in the toughest training phases. 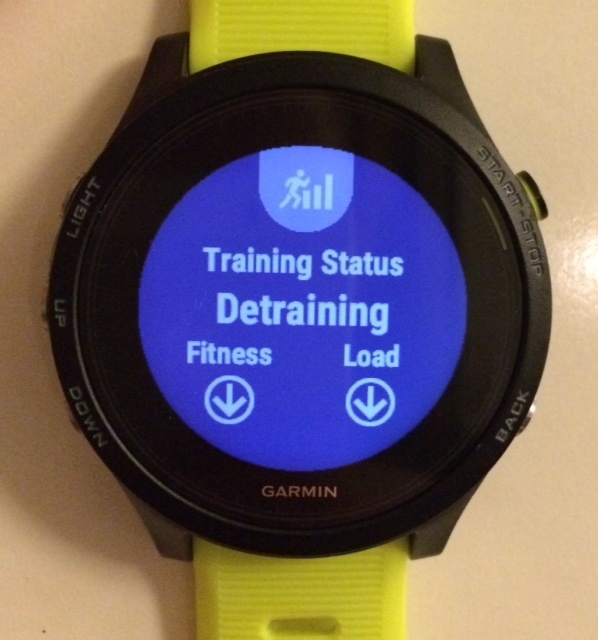 If your sports watch is telling you that you are “Detraining” or being “Unproductive” in your recovery week, please do ignore it. You are being very productive – in your recovery! 1. Hydration – Replenishing loss of fluid should be your first priority after a training session. It actually starts during the training. Make sure that you don’t go deep into dehydration. Being 1-2% dehydrated (or having lost 1-2% of fluid reserves in your blood plasma) is OK short-term but it can already result in some loss of performance. Make sure that you always stay hydrated and use enriched drinks vs plain water. Some sugar, salt and magnesium should be present in your sports drink – to replenish the key minerals lost through sweating. Severe dehydration is a serious health and even life threat. Plentiful and fast hydration after the physical activity is the fastest way to recovery. 2. Nutrition – Nutrition does not only provide fuel for your workouts, it is also a key recovery tool. By eating balanced, plant-based food, you help your body cells to restore and re-build themselves. Clean, predominantly plant-based food provides the perfect combination of carbohydrates, vitamins and amino-acids. My favorite is a vegan risotto – true soul food, especially during cold seasons. 3. Naps. Strategic short naps, 10-15min long and taken after an intensive training session, can save your day. Especially after long and tough sessions, you can use naps to switch off and switch on. 4. Sleep. This is the most critical daily recovery strategy – ditch two nights of quality sleep in a row and your training quality decreases significantly while your risk of infection and injury increases exponentially. When you sleep, all kinds of good things happen in your body: mini-tears in muscles are cured and repaired, energy stores are replenished, the nervous system rests. So, “it grows when it rests”. Never sacrifice your sleep for training. Sometimes it is better to sleep than to train – please listen to your body! Your need for sleep is positively correlated with the following factors: training volume and intensity, your age and training history and also alcohol consumption. For each extra 50 TSS a day – or a glass of wine – or 10 years – you need 1 hour more sleep. This “rule” is based on 20 years of observations – on my athletes and myself. 5. Massage. If possible, get a sports massage every week, ideally on your rest day (typically Monday). Or use a black roll to loosen your muscles and open the fascia. This is one of the best ways to prevent overuse and overload injuries. 6. Cryotherapy. This is a radical but increasingly popular method of total recovery, which many professional athletes (and Hollywood celebrities) are using nowadays. Cryotherapy was designed to treat a variety of tissue damage by using extremely cold temperatures of below -100C. Full body treatment is done in a special cold chamber and lasts only 1-2 minutes. Check out if there is a cryo center in your city. Or you can always use a less extreme version, which is an ice bath or a simple ice pack. Apply an ice pack to where it hurts, and it normally gets better. 1. Light active recovery training – Zone 1 “cappuccino rides” that are max 90min long and are a fun and social way to easy up your tired legs and get the blood flowing. Hop on your bike (you can wear your sneakers!) and pedal easily to the next gelato place. Get your gelato or cappuccino there, chat with people and pedal back. Like a tourist in Toscana. 2. Fascia training (black roll) – use a black roll as part of or instead of stretching to massage the fascia. Fascia is the connecting tissue, primary collagen, beneath the skin that attaches, stabilizes, encloses and separates muscles from other internal organs. The black roll will also serve as a light drainage for your muscles. Do ca. 10min of rolling every day to get the full benefit of it. 3. Yoga and dynamic stretching – this is not only a very good exercise to ensure suppleness of your muscles and to keep the optimal range of motion, but also a spiritual practice to train your emotional and mental stability. Combine it with deep abdominal breathing, relaxation and meditation. Train your “internal voice” to be your motivator and coach (and a drill sergeant for some) on race day. 4. Contrast shower – use “hot-cold” shower for your key muscle groups, 3-4 times, to stimulate the recovery process and flush out lactic acid. Or, especially after a tough run or ride, just stand up to your knees in cold water (lake or river or your bath tab) for several minutes. 1. Train. At the end of the session, do a short, 10-15min active, low-intensity cool-down. Stretch lightly. If the session was a really tough one, like an interval track running, then just do the cool-down jog. Do not stretch your already heavily loaded muscles due to the increased risk of injury. Recovery smoothie: 1 celery stick, 1 banana, 1 tbsp protein powder, wheatgrass, ice, and water. You can also add some cordyceps mushroom powder for an extra boost, especially if you are going for a 2nd training session later in the afternoon. I can also recommend other mushroom powders – a true source of power! - such as chaga, lion´s mane or any mushroom mix. A handful of nuts and dried fruits. Egg and whole wheat bread sandwich. 3. Shower and nap 15-20min. If you are not sure that you will wake up after 15-20min, drink a cup of coffee before your nap. It will take exactly 15-20min for the impact of caffeine to reach your brain and to wake you up. 4. Have your main meal (lunch or dinner) within 2hrs after the training session: balanced, plant-based with 500ml of fluids for the full recovery. Wait another 2hrs for this food to be digested, and you are ready for your 2nd session. Repeat the same procedure after your 2nd training – but do not nap and go to bed early, for at least 8 hours of sleep – to wake up stronger and younger the next day! So, be strategic in your recovery and training. Do not torture yourself Russian coach style. Too much load will increase the recovery and can lead to injuries. Too much recovery can never hurt! It is always better to be slightly over-recovered on race day than to be over-trained. Be smart and be Zen!